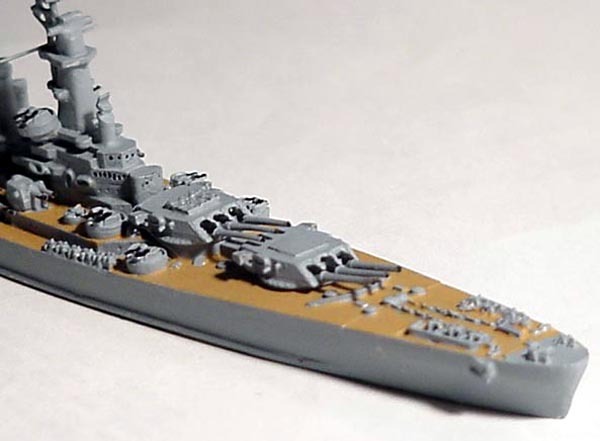 The USS North Carolina was the first of the fast battleships, a more streamlined ship compared to the earlier classes. 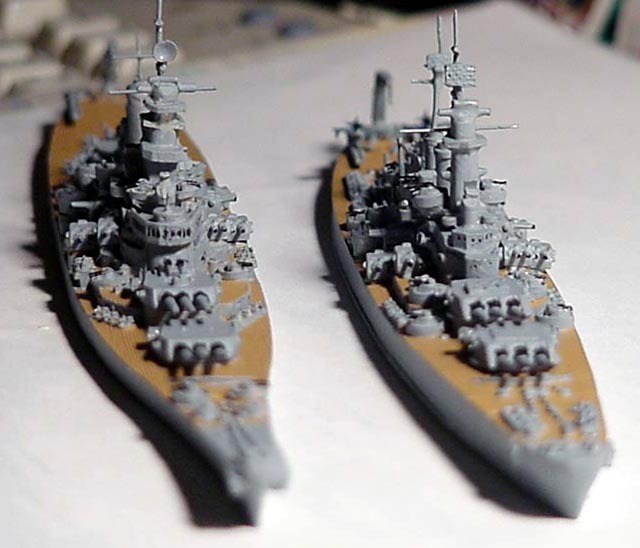 Together with her sister ship the USS Washington, these two ships proved their worth to the fleet in surface engagements, anti aircraft defense, and shore bombardment. 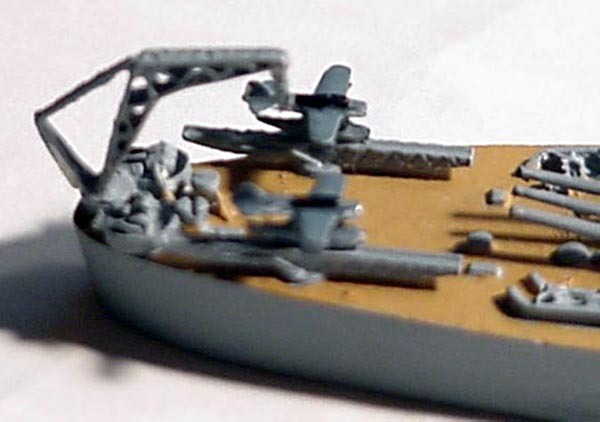 Armor, 12" Belt, 16" Turrets, 1 1/2" Main Deck, +5 1/2" Armored (2nd) deck, +3/4" Third Deck, 16" Conning Tower. 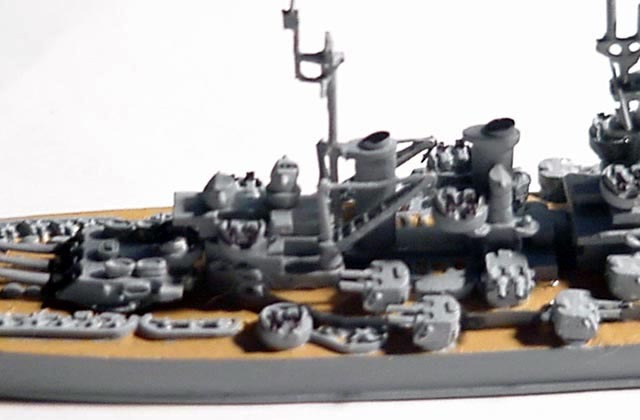 This metal miniature represents the North Carolina class in a mid to late war configuration. 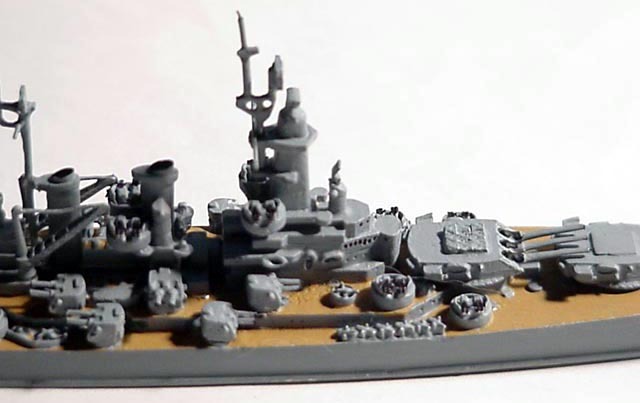 The detail is not as good as some manufactures but is acceptable for someone who just wants to have a representation of the ship, without inviting close-up inspection.